Established in 2006, Supreme Cleaning has developed a reputation as an excellent provider of bespoke commercial cleaning services in the South East. Covering both hard floor and carpet cleaning requirements, we can offer a wide range of high quality floor cleaning and maintenance services. London and Kent are our main areas of operation, with customers specifying cleaning contracts for business premises and offices, shops and restaurants, entertainment venues and sports clubs, medical and educational buildings. When it comes to appearances, first impressions are important. Are your premises showing off your company to its best advantage? Does your flooring look a bit tired and in need of reviving? Supreme Cleaning offer a broad selection of commercial cleaning services for all types of hard flooring to ensure that your floors are always hygienically clean, look pristine and smell fresh all the time. Our operatives are on hand to clean hard flooring in office and retail spaces, entrance halls, walkways and stairs, landings and mezzanine flooring in London, Kent and all over the South East. For floor polishing and buffing, steam cleaning and sweeping, waxing and sealing and all other specialist hard floor cleaning techniques, you can trust our capable team to deliver first class results, leaving you with a clean and healthy environment in which to conduct your business. It could be the perfect complement to daily contract cleaning! At Supreme Cleaning, we have rigorous recruitment and training procedures to ensure we have the best possible operatives to carry out hard floor cleaning services across the South East. All team members are reference checked and fully insured. Our cleaners are extensively trained in hard floor cleaning techniques and equipment and to make sure they fully understand the importance of the correct use and storage of cleaning chemicals. Our service level agreements guarantee a 100% reliable service to our customers. 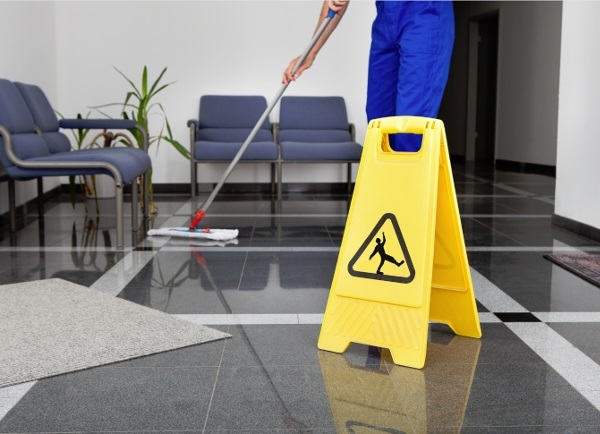 We will cover staff absences due to holiday or sickness to that service levels and floor cleaning standards are maintained at every point. When it comes to hard floor cleaning services in Kent, London and the South East, Supreme Cleaning are fully committed to supplying competent, experienced and trustworthy floor cleaning operatives who will provide a first class service and deliver great cleaning results at every site visit. Our supervisors carry out regular on-site checks to ensure our cleaning staff are performing well and our customers are happy with the service they receive. All our operatives work with a specification document that has been drawn up by us and the customer and that can be referenced by all parties concerned. What’s more, we encourage regular review meetings at 4 to 6 month intervals to see if the customer wishes to make any changes to the spec. Obviously, any customer queries and requests will be dealt with whenever and as soon as they are made. Should you have an extra requirement for, say, one-off carpet cleaning or regular window cleaning, just get in touch and we will provide a discounted quote for you straight away. For more information about the best commercial hard floor cleaning services London, Kent and the South East has to offer, please contact Supreme Cleaning on 01322 384500 (Kent), 0203 092 4777 (London) or 07774 606171 (mobile) or ask us for a free, no obligation quote here.